Inspired by the butterfly's pretty wings, these boots will sure wow the crowd! Add these attractive boots into your doll's wardrobe essentials to finish off any outfit, any season! With their stylish cut outs, they can be worn with a cute dress, or a mini skirt on a cool, summer day. Pair them with long socks or leggings and a sweater dress and you have a cute winter ensemble! This PDF pattern is compatible with any of the Pixie Pack Artisan Resource Sole Kits (White, Black, Color 1 , Color 2, Black/White Combo, or Black Chipboard). What You Get: One 11 page crafting pattern that you digitally download as a PDF file so you can start your project immediately! The PDF crafting pattern provides full color step-by-step illustrated instructions and full size pattern pieces. A PDF reader is required to view and print the files (example: Adobe Reader or Preview for MAC). The download link is received immediately after the transaction is complete. Print copies are NOT available. Love these boots, fast and easy! These boots are fast and easy, once the cutting is done. 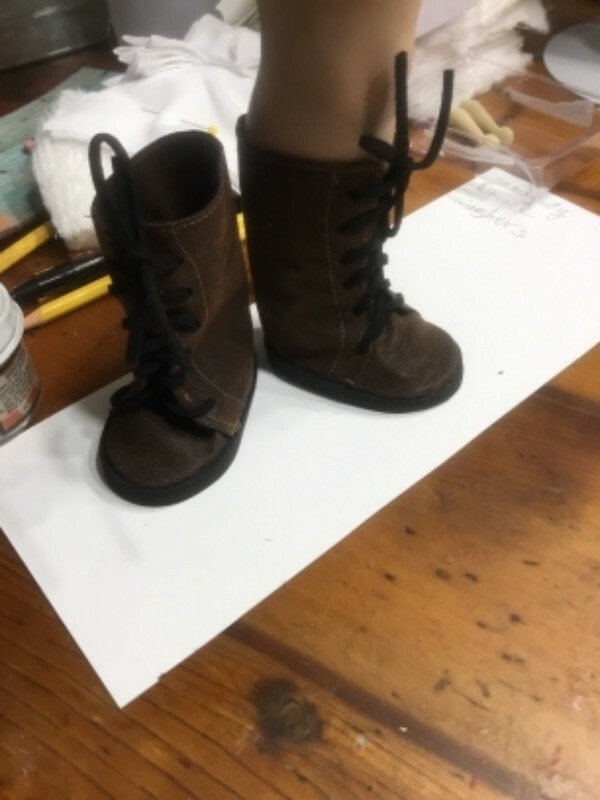 I highly recommend them to anyone who wants cute, stylish boots for their dolls. Loved this pattern I used it and made a few changes to my liking. They are my best attempt at foot wear to date. Will be using this pattern many times. This is a great and really easy pattern. I love it, The boots fit perfect and you can made them taller or shorter. This is my go to boot pattern. I do not use the back cutouts. I altered it a bit to go with a Star Wars Outfit but it was so easy to use and turned out great. The fit is also really great.